Carl Cox and Nicole Moudaber are set to release their very first collaboration, ‘See You Next Tuesday’. 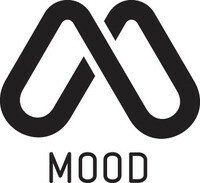 The two-track release (the original plus a deep mix) will drop 7 April on Moudaber’s MOOD Records. To celebrate their forthcoming release, Cox will join Moudaber's 'In the MOOD' takeover during Winter Music Conference aka Miami Music Week this year. The massive pool party on Thursday, 27 March at The Raleigh Hotel will feature Moudaber and Cox, alongside NYC house music legend Danny Tenaglia, Kompakt producer Tom Peters, Saved Records artist Lauren Lane, and Traktor master ENDO providing the soundtrack for this daytime affair. 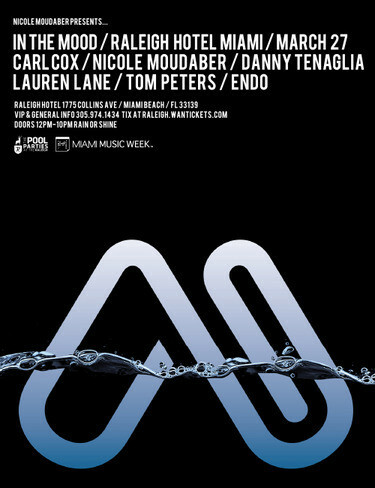 Cox has been a supporter of Nicole from the outset, releasing her productions on his Intec label ('One Day Later' and last year’s ‘Roar’ EP), commissioning remixes of his originals (2011’s ‘Chemistry’), and inviting her to spin alongside him around the globe at his Carl Cox & Friends festival stages and Space Ibiza residency. The “Tuesday” project was Cox’s idea: He reportedly handed Moudaber a zip drive stating, “Right, we're doing a collab and we're putting it out on MOOD, but all I have is the bass loop." A few email swaps later, the track was born. The original mix of ‘See You Next Tuesday’ is a techno track that features a bass interjected by shimmering breaks and snares. The middle section takes the listener deeper down the rabbit hole with haunting ethereal vocal cuts, before things get taken up a gear yet again. The deep mix is a groovier affair with intricate drum patterns and a warm bassline that balances the driving nature of the original.